The rumors are true! Baby Z #3 is on the way and will be joining us at the end of 2015!! 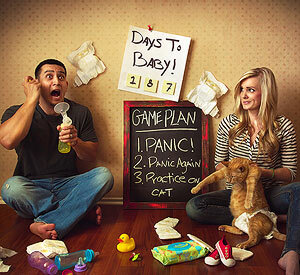 Dad’s Big Announcement, seen here from AOBrienPhotography.com is such a funny way to announce your impending news! I love that you could do this with any size family and all of the kids could be in the background, as well. How cute! 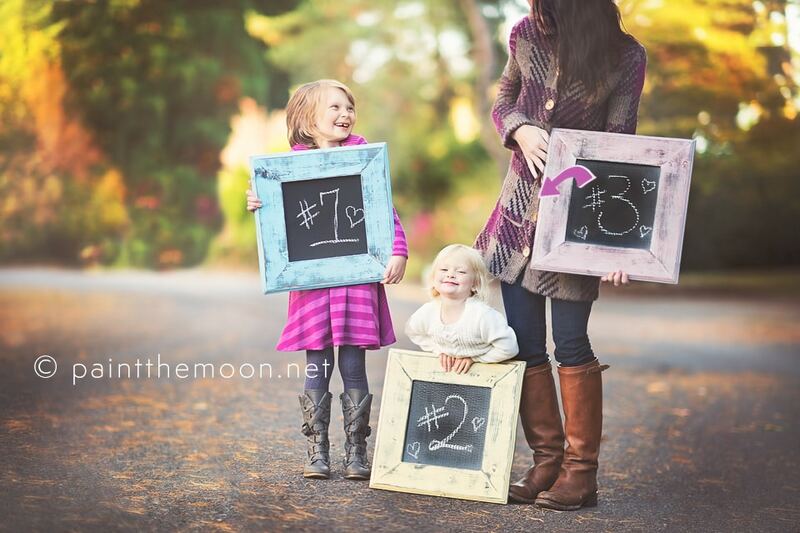 This Chalkboard Big Sibling and Mom Announcement from PaintTheMoon.com is such a great way to get your older children involved and excited for their new baby sister or brother! It can be a big change for the older siblings, so by getting them involved early, they will get more and more comfortable with the news. Ha, ha! 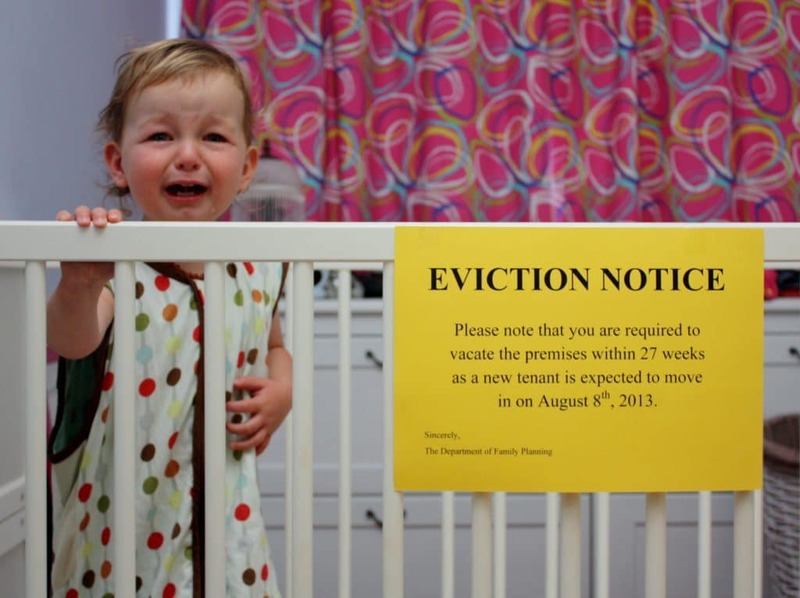 This First-Time Parents Announcements seen on Parents.com is absolutely hilarious! I think any of us who have been first-time parents can relate to the PANIC in this photo and it captures it all perfectly! Hello, Little Brother? 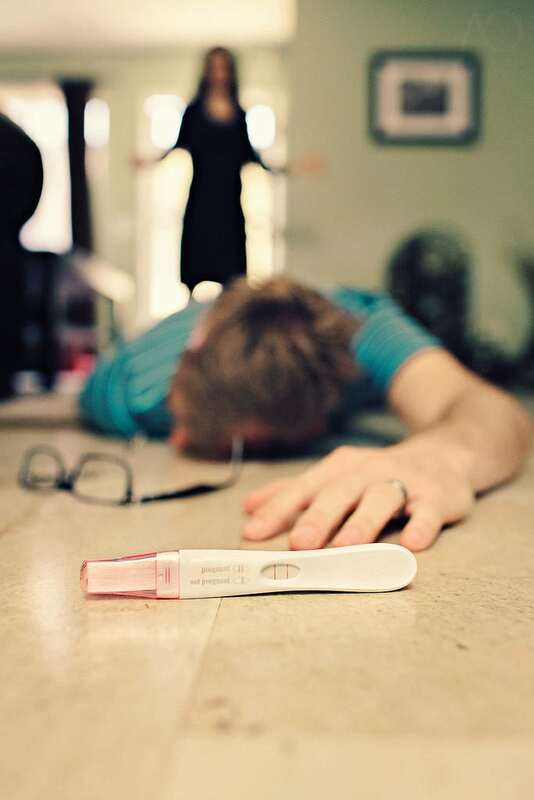 This cute announcement, seen on Parents.com, is about the most adorable thing possible! Setting Big Brother up in his own new special shirt, along with “talking” to his little brother is a great way to break the news to friends and family! 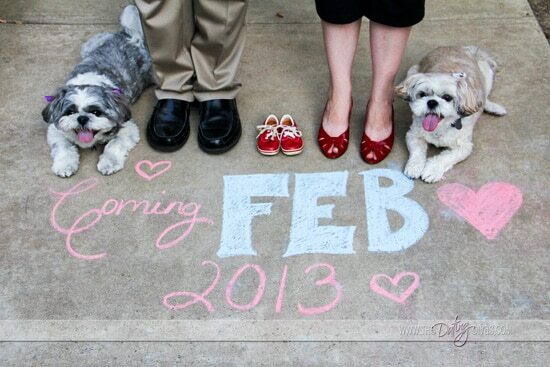 This Baby Shoes and Chalk Announcement seen over at TheDatingDivas.com is a great way to share your news! Have pets? Get them in on the action, too! I love the little feet being seen in between Mom and Dad. So sweet! 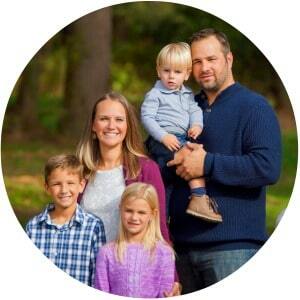 Grab your best pair of boots and step into this Parent and Child Birthday Announcement over at InIvyAndInTwine.com! What a great way to announce the impending birthday of your little one and it’s such a fun and unique spin on the typical pregnancy announcement! 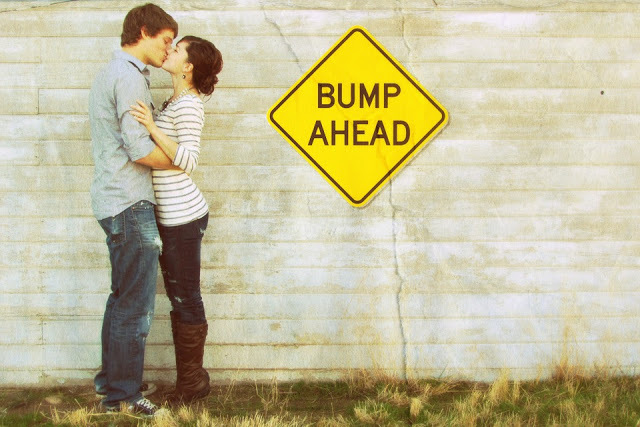 Who doesn’t adore these Bump Ahead Sign Pregnancy Announcements?! 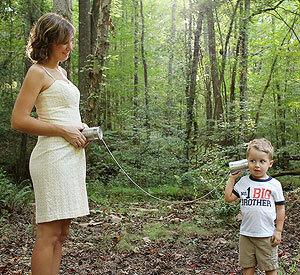 Seen over at BecomingMrsG.com, everyone will know exactly what you’re saying when they see this picture! Awe! 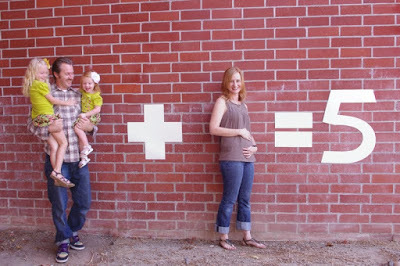 These Addition Equation Announcements, like this one from MichellesBelles.com always gets a chuckle from me! Especially when it involves multiples and people think they’re not reading it right! 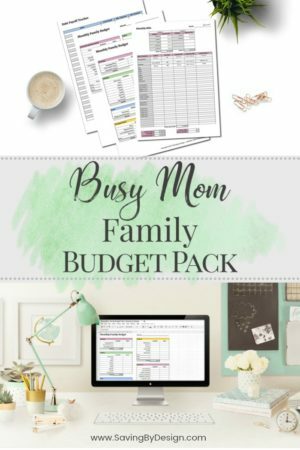 Get Dad and the kids ready and have fun with making this picture! 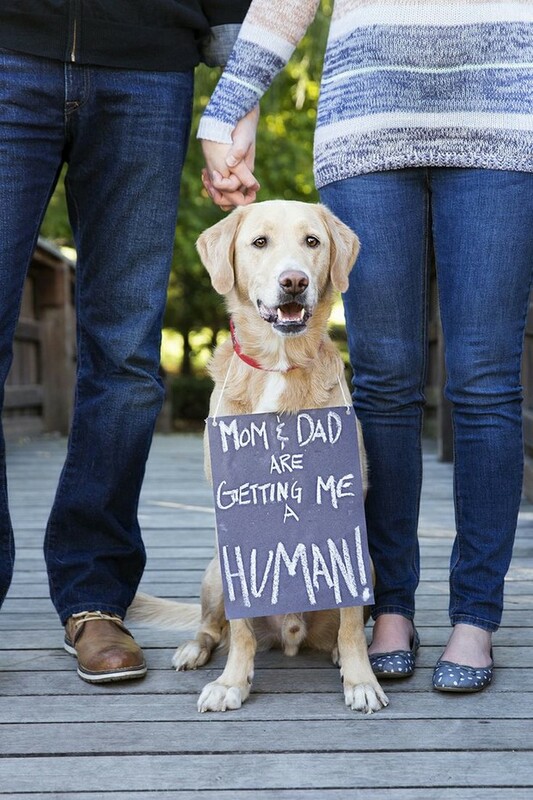 Looking for a Pregnancy Announcement with a Pet? 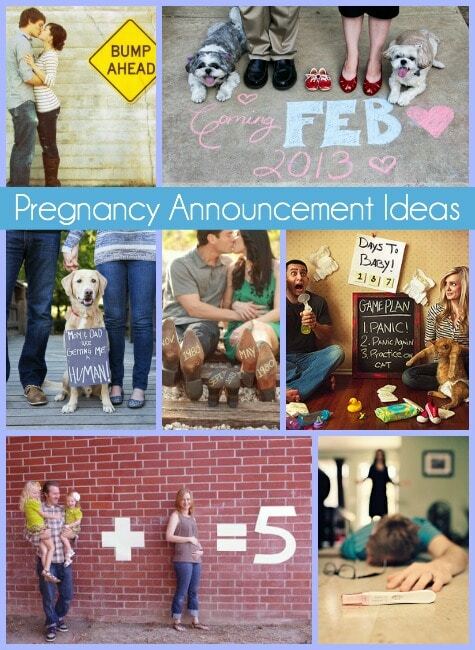 This super cute idea seen at Vitamin-Ha.com is a great way to include Fido in your big announcement! And when you include the funny sign? People will be eating this up! 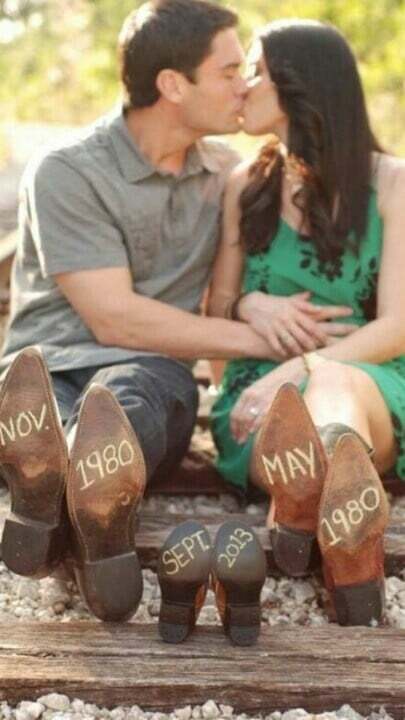 And what a great way to always remember how you announced your first pregnancy! Well? Are you all set with your idea and chomping at the bit to get started? Give yourself plenty of time to get things done JUST right and than enjoy the fruits of your labor. What an exciting time!